JDinteractive is an ABA approved online law school program that delivers Syracuse’s College of Law juris doctor degree through interactive live and self-paced online classes, residential courses, and a guided externship placement. 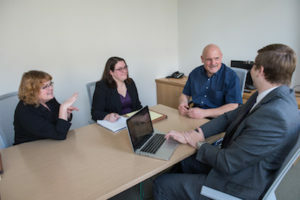 A year-round, ABA-approved online law school program, JDi is designed to be completed over three years and three months, with students taking an average of nine credits per semester. Develop knowledge of a broad cross-section of constitutional, statutory, regulatory, and common law. Competently comprehend, interpret, and analyze constitutions, statutes, regulations, and judicial decisions. Speak and write effectively about the law in a manner appropriate to the audience. Research law and investigate facts proficiently. Appreciate the important roles lawyers play in society and recognize the impact of law on people and institutions. These core required courses give JDinteractive online law school students a strong foundation in the basics of public and private law, including constitutional law, contracts, criminal law, and torts. Other courses—such as legal communications and professional responsibility—ground online law students in the fundamentals of the profession. The College of Law understands the power of practical experience for lawyers in training. Online JD program students are offered a curriculum that includes hands-on experiential learning in externships and skills-building classes. Each JDinteractive student will have an externship opportunity prior to graduation, which will give them the chance to apply what they are learning in a legal practice setting. Experiential learning opportunities will be incorporated into on-campus courses. For example, the third and fourth residencies will focus on building specific skills today’s lawyers need. See above for a list of experiential courses that online law school students take during their residencies. These courses satisfy both the ABA graduation requirement and the New York State bar admission requirement for experiential learning. Externships at the College of Law offer students opportunities to earn academic credit while gaining real-world legal experience. 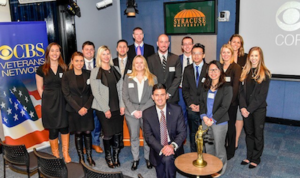 Students are able to explore various areas of the law and potential career paths while engaging with alumni and building professional networks. 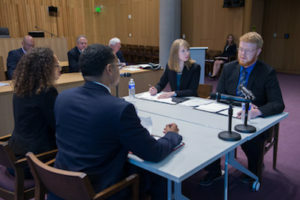 The College of Law offers a variety of opportunities to develop students’ advocacy skills throughout their law school experience, and the Moot Court Program is an important part of this legal training. 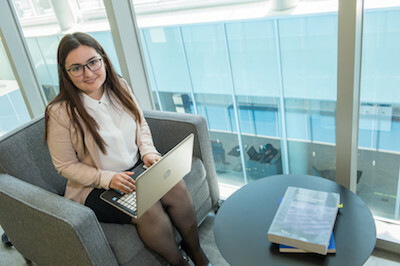 Online students have the opportunity for a Moot Court experience, although because of residential requirements, they are not eligible to join the Moot Court Honor Society. Online students will have the opportunity to join the Law Review team. By joining a student-run publication team, students build their professional skill-set, expand their scholarship, and deepen their knowledge of practice areas and specialties.